Engraved glass pint tankard with star base design, offered with laser etched engraving options along with low, fixed cost UK delivery. Optional presentation box available. Bottoms up! This straight-sided glass beer tankard features a distinctive star shaped design in the thick glass base. Mouth-blown and hand-crafted, they are ideal for engraving to create personalised glass tankards as gifts for family, friends or as corporate gifts. 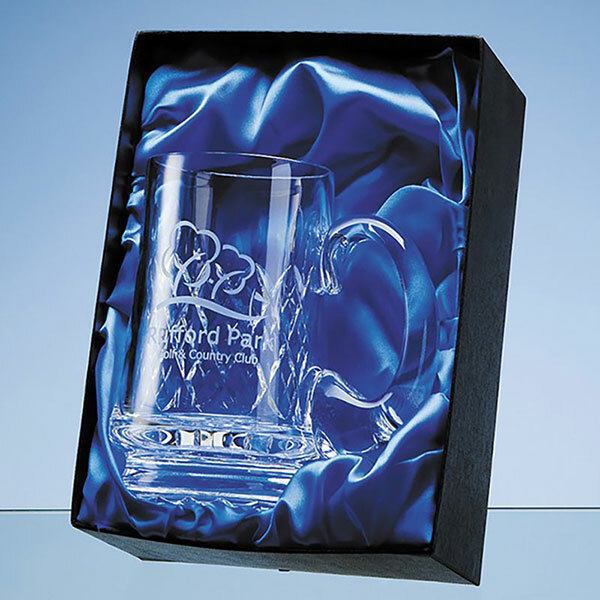 Engraved glass beer mugs can make practical, memorable and highly cherished gifts. The large engraving area on these glass tankards allows maximum impact for your logo or engraving. Crystal Awards Supplier offers low, fixed cost text engraving and free logo engraving on all orders. 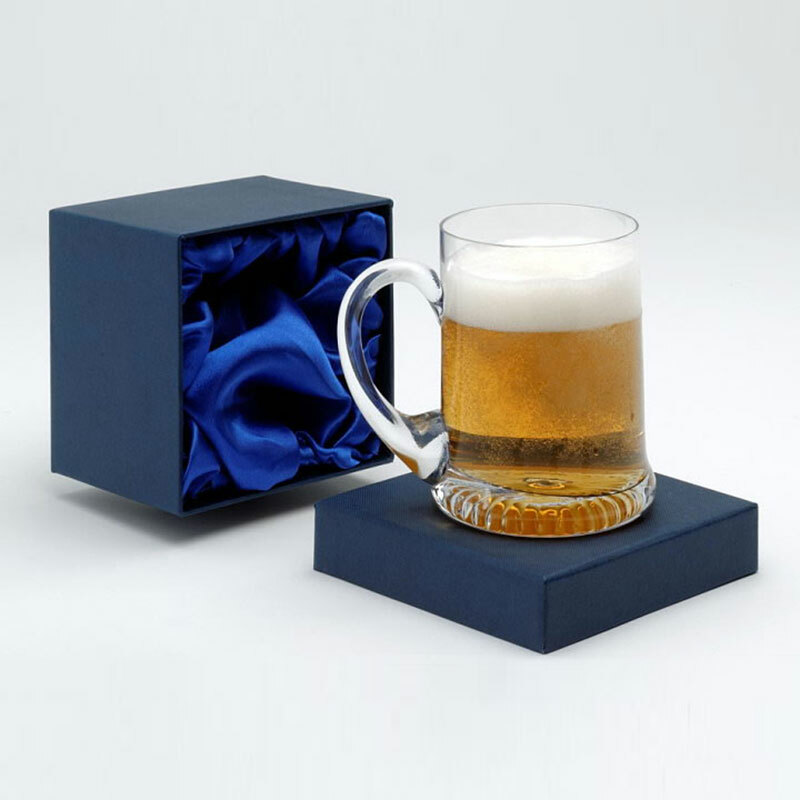 An optional quality fitted presentation box is available for this pint glass tankard. Monday, 21 January 2019 | E.
Great service. Tankard arrived within a couple of days of ordering. Just as expected. Good quality. Great buy, easy to order and fast delivery. Very happy with thanks. Fantastic service. Needed a super fast delivery. Order was placed and it arrived the next day. Would use again.